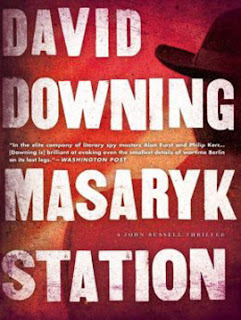 Masaryk Station by David Downing is meant to be the finish of his six-novel series that follows Anglo-American double agent John Russell in Germany from World War I through the opening moves of the Cold War, but it has the feel of a standalone espionage thriller and pre-Cold War survival story. While the station itself is located in Prague, Russell and his family still live in Berlin. The year is 1948. They are doing better than most. Between his front as a newspaper correspondent and his wife, Effi Koenen, being a German actress admired by both Americans and Soviets, there is no shortage of choices. The only problem is that the choices they make may have deadly consequences. So like many people attempting to survive and choose sides in the dawn of the Cold War, they must navigate a hard line. On the one side, there are brash and reckless Americans attempting to prop up or evacuate former Nazis to gain an upper hand in Europe. On the other side, the Soviets are increasing their grip and creating a socialistic slavery that will not tolerate dissent in the slightest. The makings of a Cold War and the fate of Germany. The Berlin Blockade was the first international crisis since World War II and is taking shape as former allies attempt to set their opposing agendas in motion. The Soviet Union wants to unify a weakened Germany under Communist control within a Soviet sphere. The American-British-French (Trizone) press for an economically self-sufficient Germany, which they see as critical to a productive European economy. 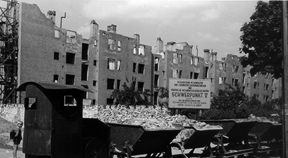 Despite being mostly left in ruins, the outcome hinges on Berlin. What makes Russell such an interesting character at the heart of it is his own divided loyalties between the Soviet NKVD and American CIA. Like many, he takes exception to seeing former Nazis (and anti-Communists) being given a second chance. And yet, the Soviets seem to be moving in a dangerous direction, one that isn't protective of workers but of a new and terrifyingly exploitive state. It is in this tenuous setting that Russell must choose sides, but without being discovered as a double agent before he and his family are safely out of Germany. It's easier said then done, especially because the Americans are giving him increasingly dangerous and easily blundered assignments. With time running out, Russell decides to seek out one final operation from his Soviet liaison, a mission that will secure the protection he needs while shaming the other into silence. As he attempts to navigate a maze of dubious loyalties, he eventually discovers that the mission he has undertaken hits closer to home than he ever imagined. A couple graphs about the author and his prose. While the story doesn't have as much action as the rest of the series and is sometimes called the least climatic of the lot, Downing manages to capture the dreary state of post-war Germany at the hands of two brutish adolescent powers. He leaves his primary characters largely cathartic, recognizing that noting will ever be the same. After having exposed them to so much, they have developed a stiffness as being seasoned. In this way, Downing almost feels more comfortable as a historian than a storyteller this time out. What hasn't changed is his crisp, tightly written prose. Downing proves once again that he is impeccably adept at breathing life into historical fiction as well as history. Masaryk Station By David Downing Escapes 5.4 On The Liquid Hip Richter Scale. Downing never fails to entertain with history and educate with fiction. With an equal talent for both, Masaryk Station brings a tepid close to his series while priming his fans for something new due out this year. 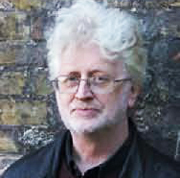 What makes his work particularly memorable is that he never glamorizes espionage, making much of players either inept or surprisingly vulnerable to other agencies getting in their way. Masaryk Station (John Russell) by David Downing is available on Amazon. You can also order the novel from Barnes & Noble or download it from iBooks. The audiobook on iTunes is read by Michael Healy, who delivers a crisp narration that would be fitting for a John Bucan book. There is a historical addendum after the book that crystalizes Downing's thoughts on the Berlin Blockade and Cold War to follow, especially as it related to Germany.